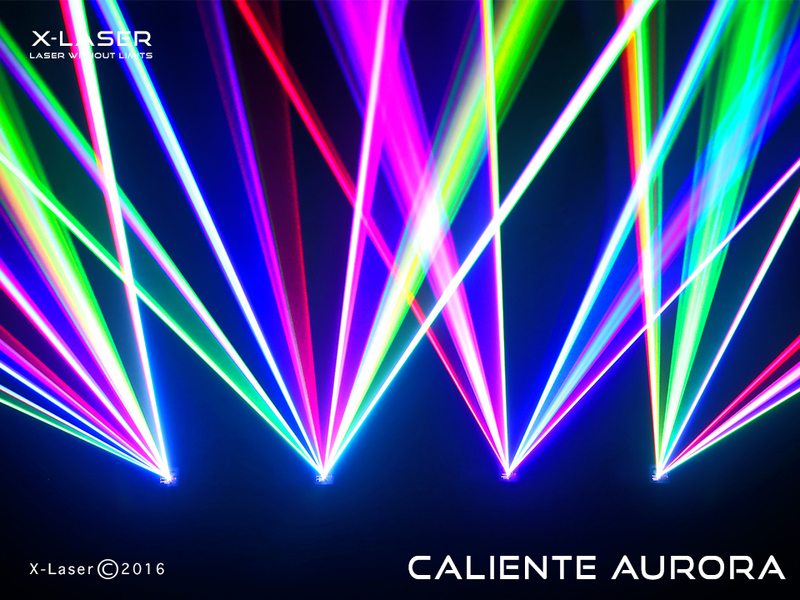 The X-Laser Caliente Aurora brings RGB color to the groundbreaking Aurora product line, and makes creating colorful liquid sky effects easier and more affordable than ever before. 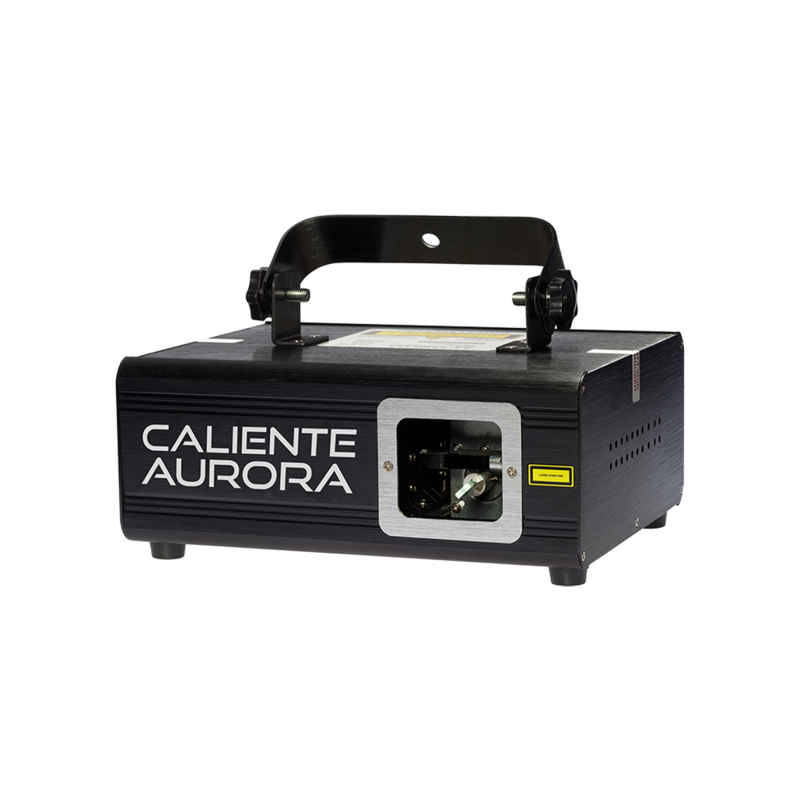 After months of development, X-Laser finally has a fully color-mixing Aurora laser: the Caliente Aurora. Following the very successful Caliente RGB700, the Caliente Aurora is brighter, safer, easier to use and more affordable than ever before. 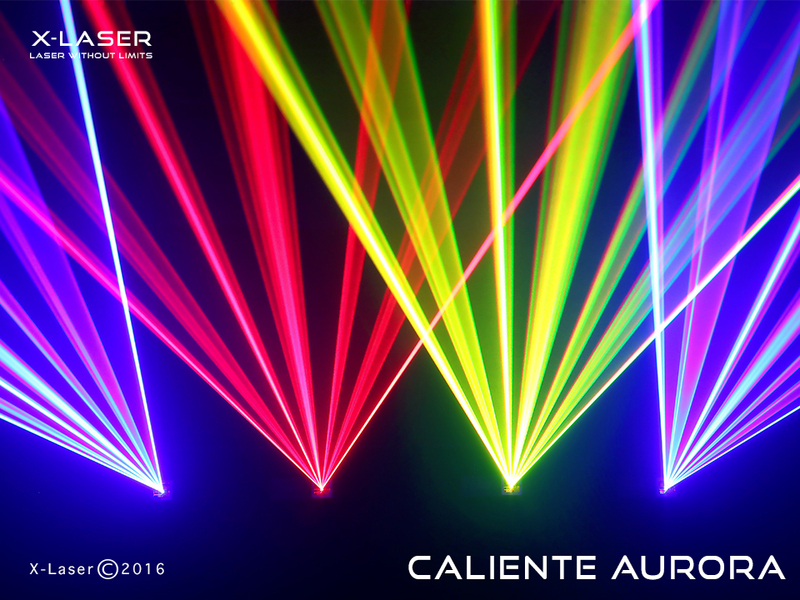 With deep DMX controls and also impressive automatic modes, the Caliente Aurora is perfect for those who want to create big and bold multicolored liquid sky and hot beam effects, even in smaller venues. 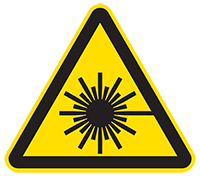 As part of the Aurora line, the Caliente Aurora only scans flat on the X-axis, so once you have it rigged and focused securely, its good to go just like any other lighting effect. 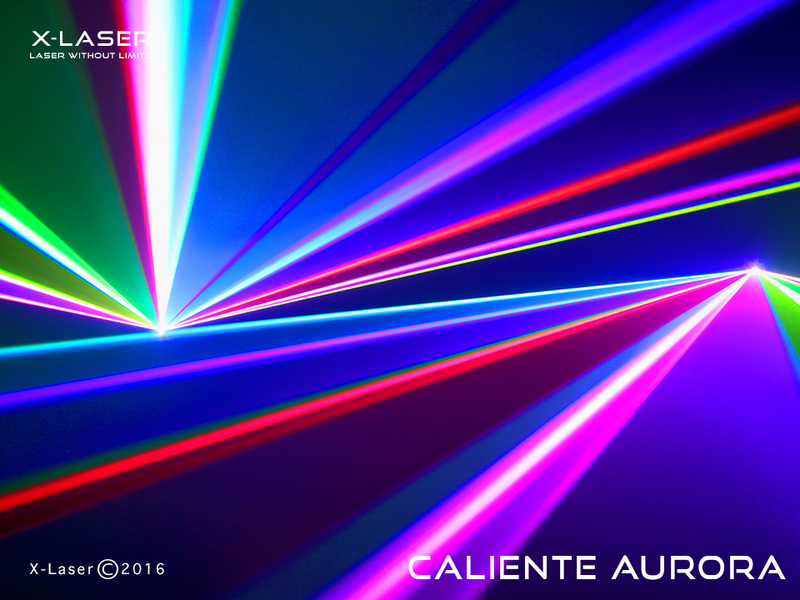 Check out the Caliente Aurora and the discounted club pack featuring four units! 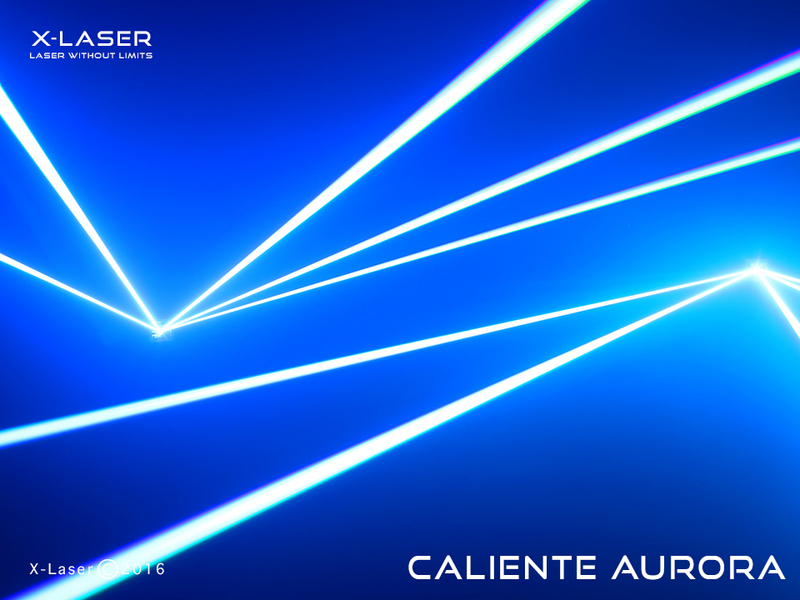 You can rig the Caliente Aurora just like any normal lighting effect, set the beam zone safely, and go on with a bright, multicolor laser show. 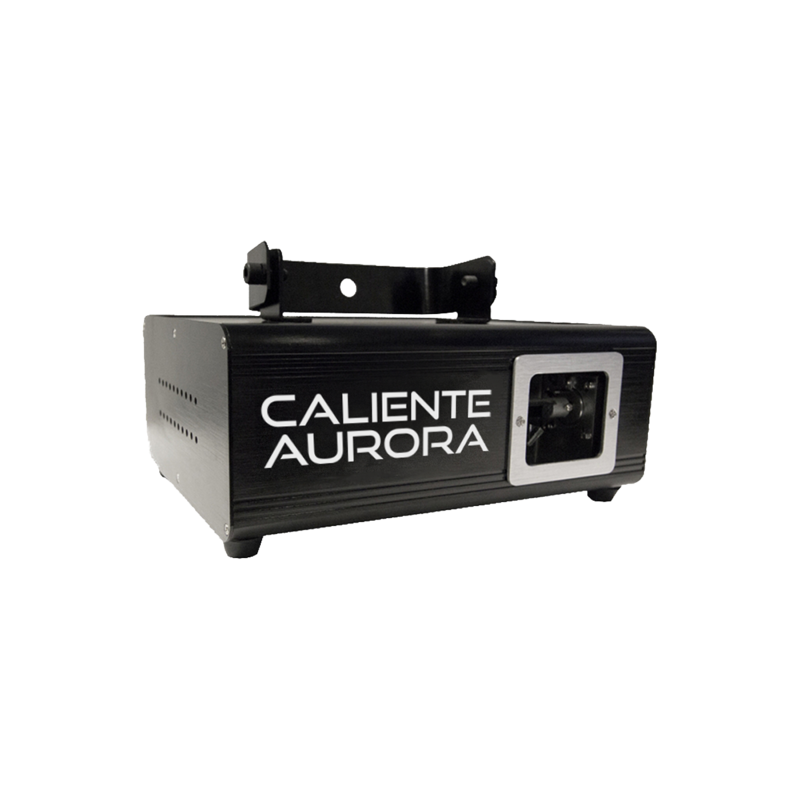 The Caliente Aurora is portable, lightweight and easy to use, making it perfect for mobile entertainers, DJs and even as an installed lighting effect in small clubs or bars.